The centre of Munich is Marienplatz, which has always been a meeting place for the Bavarians, with traditional celebrations and the legendary Xmas markets. In the center of the square there are the Mariensäule, a column dedicated to the Virgin, and the Fish Fountain, the Fischbrunnen. On the square are both the new and the old town hall, both in the Gothic style: the facade of the new city hall you can admire the Münchner Kindl, the symbol of the city reproduced also in the coat of arms. Near the central square is the Viktualienmarkt, spectacular traditional market where you can enjoy local dishes. The centre is a succession of narrow streets and roads. The most famous shopping streets are Kaufingerstrasse, Neuhauser, Theatinerstrassee, Briennerstrassee and Maximilianstrasse. Among the most important monuments and churches are the cathedral of St. Michael, Michaelskirche; Sendlinger Tor, Isartor and Karlstor, which are the ancient gateways to the city. In the centre there are many hotels available to tourists. Motel One München-Sendlinger Tor is a new and comfortable 2 star hotel located in the heart of Munich near the central station and metro station München-Sendlinger Tor. 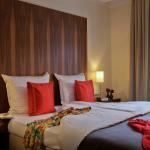 Platzl Hotel is located in the heart of Munich a few minutes from the famous Marienplatz. 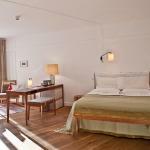 Cozy and confortable hotel offers elegant rooms equipped with cable TV, minibar and safe. Louis hotel is located in a central position in Munich, near the Viktualienmarkt and Marienplatz, where you'll find links to the means of transport that will take you to all areas of the city. Maximilian Munich is centrally located in Munich, near Maximilianstraße, Marienplatz and the State Opera. In the vicinity there is the public transports station, which will allow you to visit the city. 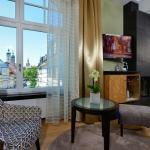 Hotel Torbräu is located in the heart of Munich, near the famous Marienplatz. Cozy and comfortable hotel offers rooms equipped with satellite TV and wireless Internet access. 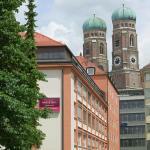 Mercure Hotel München Altstadt is only a few steps from the famous Marienplatz of Munich. Thanks to the nearby underground station you'll easily reach the main railway station and the city airport. 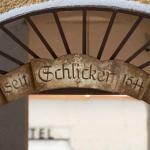 The Hotel Schlicker is situated in a central position in Munich, near the famous Marienplatz and Viktualienmarkt. The nearby metro stations provide easy access to the exhibition center, train station and airport. 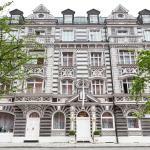 The Hotel Opera is located in the charming and central district of Lehel, not far from major tourist attractions of Munich, such as Marienplatz, the town hall, the shopping mall Maximilian and the German Museum.